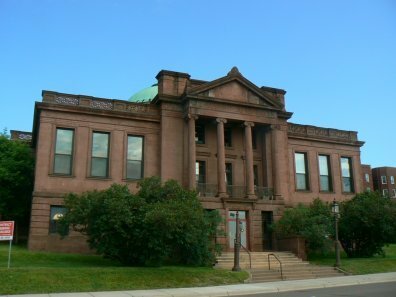 One of my most viewed blog posts ever was one that I wrote about the Duluth (MN) Carnegie Library building being up for sale. 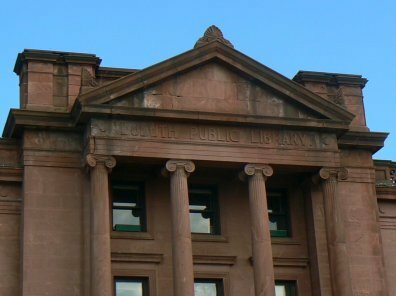 Earlier this month I had the chance to visit Duluth and made a point of checking out the Carnegie Library building. It is evidently no longer for sale, but space in the building is available for lease as well as parking spots in their lot. Unfortunately, my visit was on the weekend and the building wasn't open. There is a website for the building, and more information is available by contacting the owners at info@CarnegieBuilding.com . Incidentally, if you haven't visited Duluth I highly recommend that you do so if you have the opportunity. It is located on beautiful Lake Superior and they have developed their harbor area with lots of motels, restaurants, shops, and a boardwalk. Gleeson Laptops Can Now Roam Campus Freely! Gleeson Library laptops can now leave the library! Students, faculty, and staff can check-out laptops for four hours at a time, and renew laptops in person at the circulation desk, if no one is waiting for one. As with any item, a USF ID is required for all library check-outs and bookings. Find out more about our laptop policies here. Sit inside or outdoors, the choice is yours. We at Gleeson have only one question for you: Mac or PC? The Library is expanding our Document Delivery service to include USF Graduate students. Beginning August 1, 2013, USF Graduate students and faculty can request electronic delivery of journal articles, book chapters, microfilm, and government documents from Gleeson Library’s print or digital collections. We will make every effort to fill all requests electronically, whether we have the material in a bound volume, in a database we subscribe to, or in almost any other form. Graduate students can make Document Delivery requests easily through ILLiad. The Library uses ILLiad to electronically deliver PDF files of journal articles and other material requested from other libraries. We’ve enhanced ILLiad to facilitate the request and delivery of materials that we have in our collections at Gleeson Library. Find out more about Document Delivery or ILLiad. The next 2 books we will be discussing are Beautiful Ruins by Jess Walter and Family Pictures by Sue Miller. Please join us on August 2nd at noon in room 209 in the Gleeson library. The library does not have copies of Beautiful Ruins so please request it through Link+ or from the SF Public Library. The SF Public library also has sound recordings and digital editions available for check out. The story begins in 1962. On a rocky patch of the sun-drenched Italian coastline, a young innkeeper, chest-deep in daydreams, looks out over the incandescent waters of the Ligurian Sea and spies an apparition: a tall, thin woman, a vision in white, approaching him on a boat. She is an actress, he soon learns, an American starlet, and she is dying. For our next book, we meet on September 6th at noon in room 209 at the Gleeson library. The library does not have copies of Family Pictures by Sue Miller so please request it through L ink+ or from the SF Public Library.